when you take to the courts and do your thing. like gloom on a nasty stormy day. other than it’s a lesson for another day. But you hung in there with them all the way. That’s where it’s at, Jack. of a place called nowhere. after witnessing such an incredible thing? had long seen better days. when I say our lack of success wasn’t due to a lack of trying. for the old Red and Blue. “Go! Go! Wildcats, Go!” routines. We hardly knew of such things. That’s why you make our hearts sing. and we live through you vicariously. When you win we win. When you lose our hearts bend. if everybody on defense got completely out of our way. 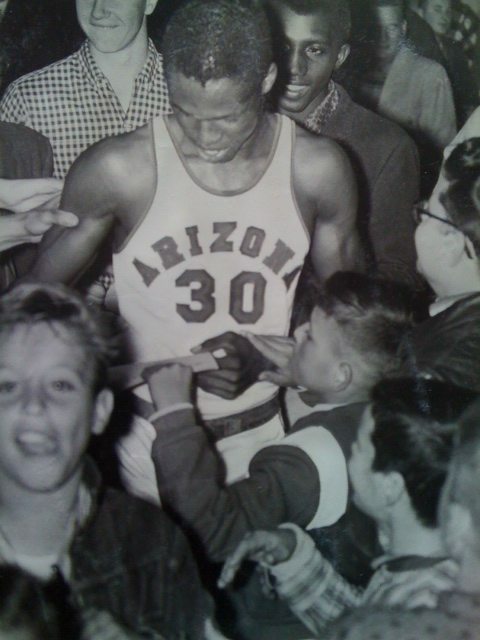 when it comes to basketball at the U of A.
to become as great an institution of higher learning as it is today. Well, you will make the WORLD’S HEART SING!Thanks for a wonderful season! Thank you, amigo. That is Monte. I couldn’t think of his name but that’s him. He must have been on the freshman team that year.